This edited article about the Bible originally appeared in Look and Learn issue number 137 published on 29 August 1964. Jesus once told a story which was full of keen observation, and had a touch of humour, but at the same time carried a warning for the many so-called religious people of his day who ignored the invitation to accept his message. The story was about a certain man who planned to give a big dinner-party. He chose the menu with care, and ordered the food well in advance. He gave detailed instructions to the cook, and hired extra waiters for the day of the party. Invitations were sent out in plenty of time. These were not in writing, but as was the custom in those days, they were conveyed by a messenger who called at each home and gave the invitation by word of mouth. After a while the messengers began to return one by one. “Well, are my guests on the way?” said the host genially. The host was clearly disappointed, but doubtless felt that one guest would hardly be missed at such a large party. 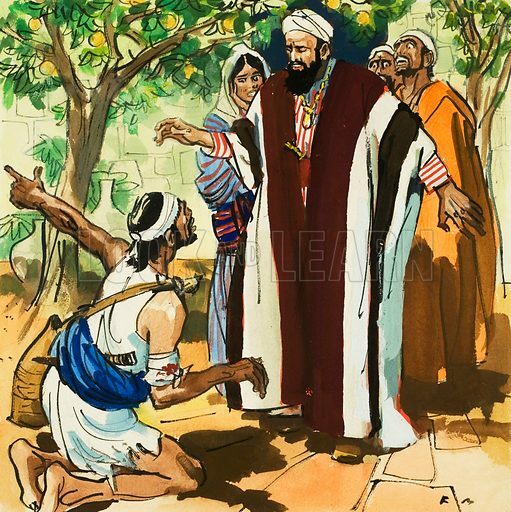 Another promise broken. . . . A third servant approached. “Well, have you an apology, too?” snapped the host. One by one the other servants all came in with similar excuses. It was clear that not a single guest was coming. 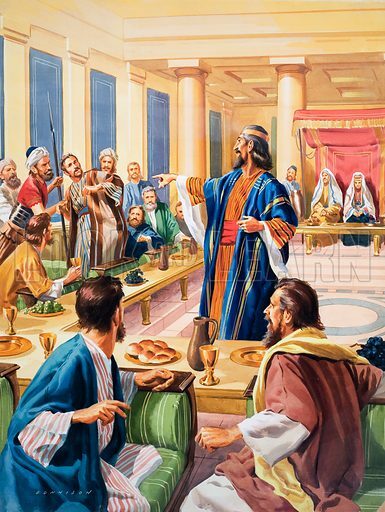 The host’s disappointment turned to anger, yet mingled with his anger was the knowledge that there were plenty of hungry people who would be glad of such a supper. Let his fine friends do without, then. He would invite those who would appreciate his hospitality. Perhaps the hearers who claimed to be so religious remembered that they had scorned Jesus for eating with the poor and needy. Now they began to wonder if they had been as ungrateful as those who in his story had ignored the invitation. This edited article about the Bible originally appeared in Look and Learn issue number 135 published on 15 August 1964. “No, not seven times – seventy times seven,” Jesus replied, meaning, of course, not that a person was to be forgiven 490 times, but that there must be no limit to the readiness of his followers to forgive. Jesus went on to tell a story about forgiveness. There was, he told his hearers, a certain King who had been very helpful to some of his personal servants. 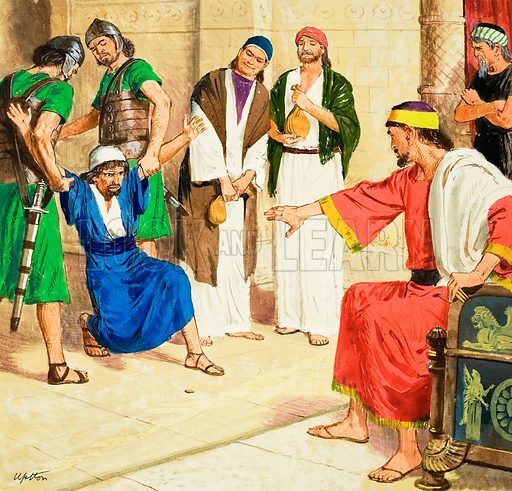 He had made them generous loans for various purposes; one had wanted to buy a house, another wanted to go into business, and among them all the King had laid out a great deal of money. One day he decided to have a full account made of all that these men owed him, and to ask them to settle their debts. One man in particular worried the King; he had borrowed a thousand pounds, but had never offered to pay any of it back. This was the first man sent for. He came in very unwillingly, and before the king had so much as a chance to ask a question, burst out with a most pitiful story of his misfortunes. Business was bad. Other people had let him down. Some had cheated him. The King was not a harsh man, and after hearing this tale of woe he felt that there was only one thing he could do. Scarcely believing his ears, the bewildered debtor stammered out his gratitude, then left the King’s presence as quickly as he could, to tell his family the good news. The neighbour could not pay. 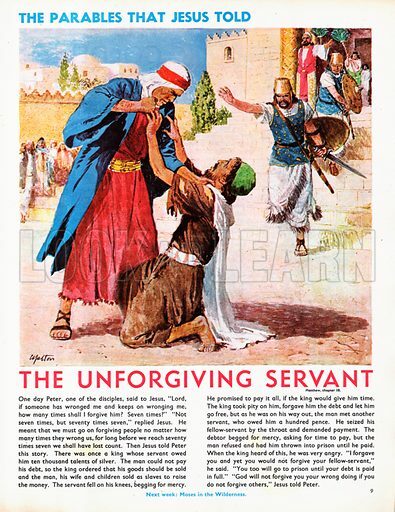 Forgetting the King’s generosity, the servant had the man arrested on the spot and thrown into prison. This edited article about the Bible originally appeared in Look and Learn issue number 133 published on 1 August 1964. Jesus once told His hearers of a man whose career seemed to be a real “success story.” We do not know his name, nor how his career began, but we learn that when he was not much more than middle-aged he was already a prosperous land-owner. One day he was walking round his estate, planning what alterations and improvements were needed. Everywhere his employees were busy with new developments. Wells were being dug, lambs and calves sent off to market, fences being set up around the growing crops. Although the harvest was still several months away, it was clear that more of his ground was under cultivation than ever before, and that everything pointed to record crops when the time came. “Then we must have bigger ones!” answered the owner with a laugh. On his way home the wealthy and ambitious landowner felt very pleased with his scheme. Perhaps it was to be expected that he would eat and drink rather too freely that night. Many friends joined him at supper, and congratulated him on the big development scheme that he had planned. When he finally went to bed he was unusually tired, and felt a little strange. This was nothing to worry about, he thought, just over-excitement. Even a brief spasm of pain did not alarm him. When the servants came to call their master next morning he failed to answer. Eventually they entered his room, and found him dead. Rough plans of the new buildings lay on the floor. So preoccupied had he been with these, that he forgot the fact that his life was a gift from God, and that God sometimes calls people back to Himself when they are least ready, and least expect His summons. This edited article about the Bible originally appeared in Look and Learn issue number 129 published on 4 July 1964. When that rather reckless young man who became known to history as the Prodigal Son came home, he was forgiven by his father and given a great welcome. A calf, which was being fattened up for another celebration, was prepared as the main dish for this homecoming, musicians were sent for from the village, and the somewhat bewildered young man who had expected nothing but disgrace and criticism found himself, if not the hero of the hour, at least the guest of honour. Even if the neighbours were unable to congratulate the son on his achievements, they were glad to rejoice with the father on his son’s return in a better frame of mind. 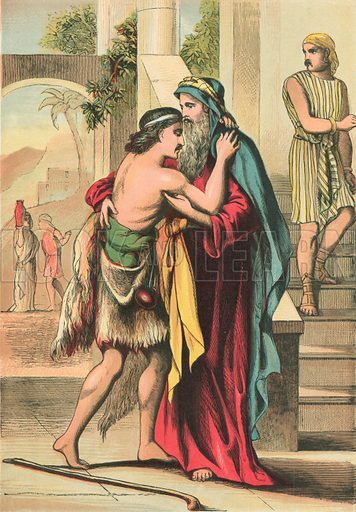 Now the Prodigal Son had an older brother, who was quite a different sort of person. Steady, reliable, perhaps a little lacking in enterprise and imagination, he was so regular in his habits that you could have set a clock by his coming and going. Not that he ever went far. He had always been quite content to stay at home, working for his father, and never venturing beyond the village and the nearest market. 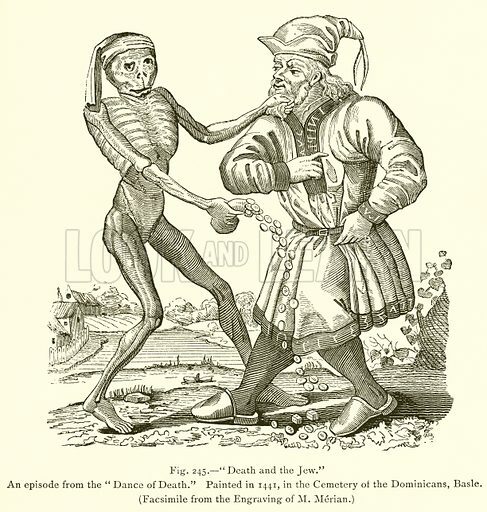 He was not a great party-goer either, and when he came in at the main entrance of the house on this particular day (exactly at sundown, as usual) he was surprised, and a little annoyed, to hear the sound of music and the laughter of a crowd of visitors. He decided not to go in, but to find out what was going on, so he called one of the servants who happened to be passing and asked him what all the noise was about. “Sorry, sir, but these are your father’s orders. He ran to meet your brother and ordered the celebrations,” replied the servant. “Well, just tell my father that I have no intention of coming,” answered the elder brother. No doubt the servant conveyed this message as tactfully as he could. Even so, the father guessed what was wrong. A man of endless patience and understanding, who loved both his sons, he left his guests and came out himself to where his elder son stood sulking. In the end, no doubt, the elder brother joined the party, too. This edited article about the Bible originally appeared in Look and Learn issue number 128 published on 27 June 1964. Thinking the matter over, the father came to the conclusion that it might content this restless son of his to have some money to manage, so he arranged for a very generous sum to be handed over to him. The gift did not have the effect intended. Far from helping the son to settle down, it made him more eager to go off on his travels, and within a few days he had prepared for a long absence, and set out for a distant city in search of excitement. For many months little was heard of the young man. Only rumours and gossip reached his anxious father, and these were very disturbing. He was, it was said, spending much more money than he could afford, and wasting his time in the very worst company that he could have found. These rumours were true enough. So long as the young man had money to spend, there were plenty of young city folk who were willing to call themselves his friends and help him spend it. Only when his money was all gone did he find how worthless and short-lived their friendship was. To make matters worse, the harvest failed that year, and the price of everything rose. It became difficult to get work, and the once wealthy adventurer now found himself a penniless refugee. He got a temporary job keeping pigs, and it was while he was watching them feed so busily that, half-starved as he was, he realized how rash and foolish he had been. It was then that he decided to go home, and ask his father to take him on as a servant, since he no longer deserved to be called his son. The father had never given up hope of his son’s return. Day after day he would go up to the rooftop and look anxiously along the road by which he had left. 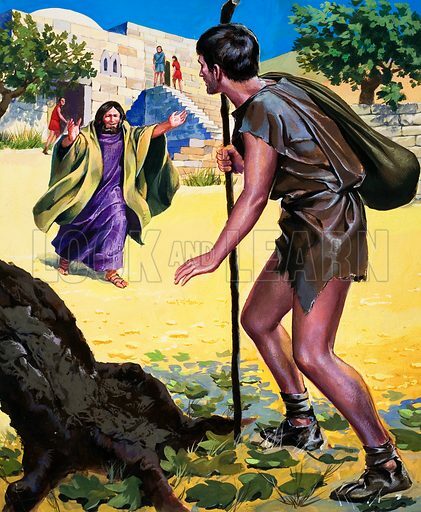 On the day that he did come back the father did not recognize the thin and bedraggled figure at first, but when he did so, he ran eagerly to meet him. He did not wait for explanations. He broke into his son’s carefully prepared apologies. The entire household rejoiced over his return – the entire household, that is, except for one person. The parable of the talents is a powerful illustration of the dire consequence of life’s wasted and lost opportunities to make the most of what we have been given. Although its imagery centres on money, the lesson Jesus imparts in telling this parable applies to many aspects of human experience. Many more pictures relating to parables in the Bible can be found at the Look and Learn picture library. Click on the link or picture to find out more about licensing images for commercial and educational use. This is perhaps the most touching of all the parables of Jesus. It contains the powerful sentiment of reconciliation, the misery of self-loathing and the resentment and jealousy between siblings. It is a tale of forgiveness and redemption. A man has two sons, the younger of which asks for his share of their inheritance so he can make his way in the world. He is given the money, a small fortune, which he squanders in the dissolute city, consorting with prostitutes and rogues. He loses everything and becomes a swineherd. When misery reduces him to abject self-pity even to the depths of envying his snorting pigs, he realises he will have to abandon any vestigial pride and return home. “Son, thou art ever with me, and all that I have is thine. It was meet that we should make merry, and be glad: for this thy brother was dead, and is alive again; and was lost, and is found” (Luke 15: 31-32). Many more pictures relating to parables and the Bible can be found at the Look and Learn picture library. Click on the link or picture to find out more about licensing images for commercial and educational use. A series of very unlikely events takes place in a rich man’s vineyard leased out to several husbandmen. There is violence, disloyalty and a clear attempt by the workers to take over the flourishing vineyard and its fine produce. Jesus uses his tremendous gift for taking an apparently ordinary situation and exaggerating certain elements until the listener’s expectations are confounded and a fresh interpretation of the spiritual life and God’s intentions unfolds. The rich man returns from his travels and sends a servant for his dues. One man is beaten up, another stoned, another killed; he sends others and the same thing happens. So he decides to send his son, thinking these tenants will surely be on their best behaviour in that case, and show him due respect. But the tenants see him as the heir apparent to the vineyard, and they kill him in order to take his inheritance for themselves. Jesus asks his followers what the rich man should now do to those wicked men, and the import of the answer is simple: “The kingdom of God shall be taken from you, and given to a nation bringing forth the fruits thereof” (Matthew 21: 43). The slain son represents, of course, Jesus himself. This parable has simple and complex strands which bring together themes about the chosen and the unworthy to be chosen. It is a somewhat exaggerated tale of a king who gives a wedding feast for his son to which the appropriate people are invited, all of whom let him down one way or another. He sends his servants to remind and encourage them, but they are beaten and murdered by the ingrates. So incensed is he that he has their killers tracked down and put to death, and is not satisfied until he has burned down their city with his army. He the sends out other servants to gather people from the highways, and bring them as invited guests to his feast. This happens, and all is well until the king notices one man not wearing wedding clothes. He has him bound and taken away, thrown “into the outer darkness, there shall be weeping and gnashing of teeth. For many are called but few are chosen” (Matthew 22: 13-14). 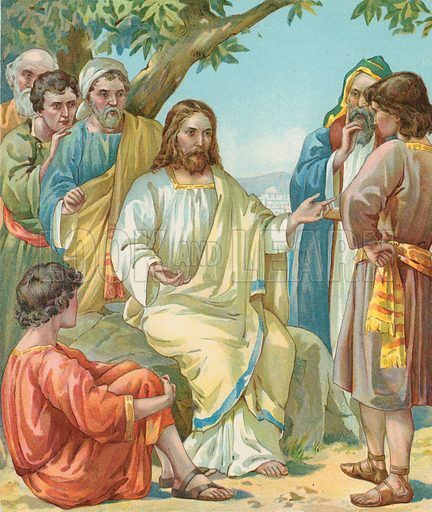 Many more pictures relating to Christ’s parables and the Bible can be found at the Look and Learn picture library. Click on the link or picture to find out more about licensing images for commercial and educational use. Jesus told several parables, some more complicated than others. 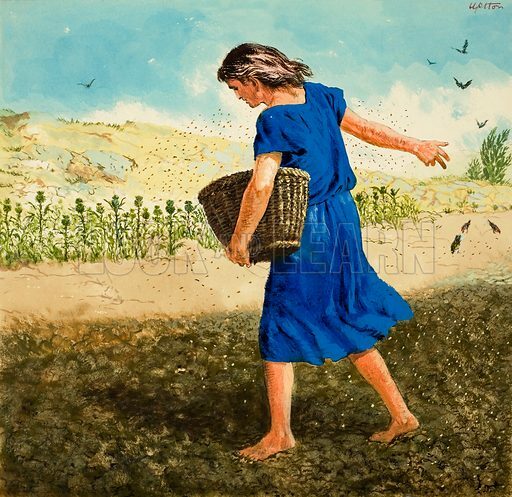 The parable of the sower is simple in narrative detail and the message it clothes. When a farmer sows seed on inappropriate terrain the results are predictable, whether the plants wither for lack of soil or choke to death among thorny weeds. Only when the soil is good does the farmer see a decent crop, and this multiplies with each harvest. The seed is the Word in its various stages of understanding and acceptance, be it one of shallowness or one of deeply rooted vitality yielding rich and plentiful fruit. In the gospel of St Matthew, the poor birds which take the seed from the road are likened to the devil confounding potential believers. Many more pictures relating to the parables and the Bible can be found at the Look and Learn picture library. Click on the link or picture to find out more about licensing images for commercial and educational use.